Feedzai is announcing a $50 million Series C this morning led by an unnamed VC with additional capital from Sapphire Ventures. The six year old startup builds machine learning tools to help banks and merchants spot payment fraud. In today’s rapidly maturing world of fintech, Feedzai is trying to thread the needle between turnkey solution and customizable platform. With 60 clients including major financial institutions like Capital One and Citi, Feedzai remains optimistic that allowing savvy customers to build on top of its service is the key to longevity. Feedzai’s platform is specifically designed to help mitigate payment fraud. This includes use cases where money is transacting between at least two parties. Under a microscope, seemingly boring transaction logs can hint at illicit actors looking to game the system for financial gain. But this is rapidly changing. Financial institutions are actively looking to upgrade old systems with solutions that can process data in aggregate, taking advantage of advancements in machine learning and the prevalence of things like in-memory databases. As these replacement cycles roll around, Feedzai aims to communicate its stability in the market — regardless of its status as a startup. The sheer amount of capital the company has raised should help to convince large customers that it is a safe steward of their risk management needs. 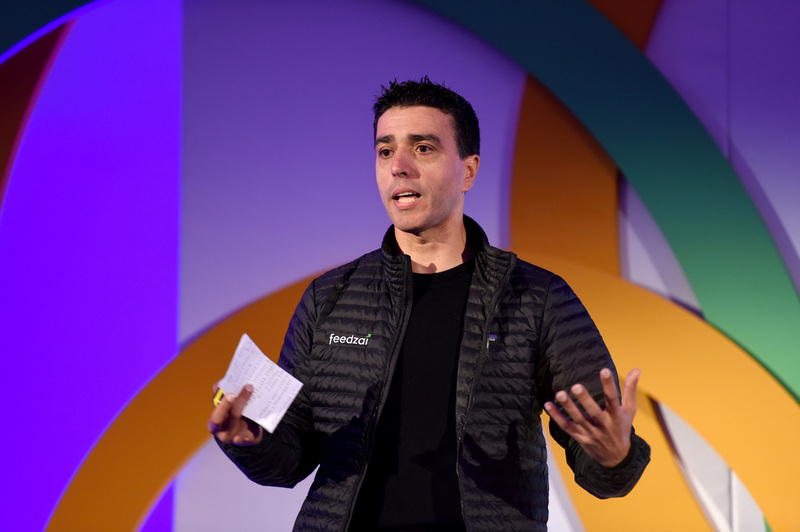 Founded in Portugal, Feedzai initially raised a $2 million Series A from Portuguese investors, Data Collective and Sapphire Ventures. After moving to the United States, the company took on a $17 million round from Oak HC/FT in addition to capital from strategic investors for a total of $32 million. This is the case with today’s round, with the key exception that the strategic investor leading isn’t being made public at this time. But regardless, Sebastiao again underscored the importance of strategics in hacking together multi-million dollar long term contracts with major banks and merchants. Consolidation in the financial sector means that only about 2,000 banks worldwide are of interest to Feedzai. Initially this was a challenge for the company in terms of customer concentration but Sebastiao says these ratios are rapidly smoothing out. Healthy unit economics on a per deal basis helped the company weather this storm in early days. Today’s $50 million round will enable Feedzai to double its headcount this year to about 300 employees. Maintaining strong sales and data science teams at scale will remain a major priority as Feedzai continues to grow market share servicing both sides of the market.